General Machinery Company (GMC) was started by the late Mr. Mohammed Ahmed Kallan as an Engineering Company, as part of about seventy year old parent company. GMC caters to the stringent and exacting needs of the Pharmaceutical, Chemical, Veterinary, Food, Confectionery and allied industries. 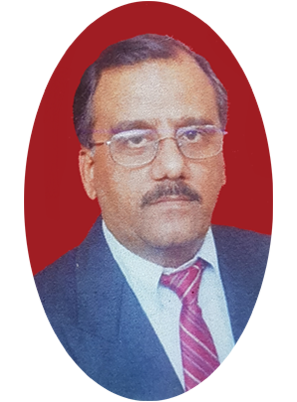 Under the astute leadership of his son, Mr. Aslam Kallan, GMC achieved excellence in implementing the latest technology. GMC has sold more than 5000 of its products, with a client list reading like the Who’s Who of the Pharma Industry. Our brand has fulfilled the demands of our trusting clients and we now accept the challenge of successfully designing, fabricating, supplying, installing and commissioning complete turnkey FDA validated projects as per cGMP guidelines, for Pharmaceutical & other industries. GMC has complete in-house manufacturing facilities, with modern machinery and inspection facilities. Making quick availability of spare & change parts. Installation of machines, IQ modifications if required at sight. Guidance for setting up projects for Tablet, Capsule, Ointment and Liquid section plants. We are front-line suppliers of advanced machinery for pharmaceutical, chemical, veterinary, food and confectionery. General Machinery Company (GMC) was started by the late Mr. Mohammed Ahmed Kallan as an Engineering Company, as part of a seventy year old parent company. GMC caters to the stringent and exacting needs of the Pharmaceutical, Chemical, Veterinary, Food, Confectionery and allied industries.